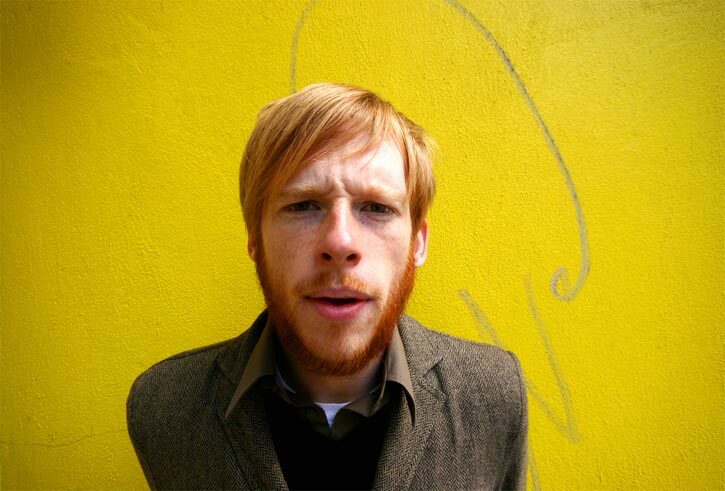 For the last ten years, Kevin Devine has had some musical presence in my life. In 1999, I snagged a Fadeaway Records sampler at a Get Up Kids show which featured a song from Devine’s old band, Miracle of 86. From that point on, I was hooked on his ability to combine pop-structured sets with impeccably sung lyrics on topics topics ranging from the troubles of the human heart to the troubles of the United States Government. For many people in the indie rock scene, there’s a general sense that many songwriters find emotions from within and hope that people immediately connect with them; for Devine, he is his own toughest critic. In a world where the independent music scene is ruled by fashion and gossip, Devine and his backing troupe, The Goddamn Band, remain rare figures — those who value their art more than an image — and Devine’s ability to be honest has spilled over into his latest release and fifth solo album, Brother’s Blood. Unlike the albums that preceded it, Brother’s Blood is a full-on rock album with a range from quiet to caustic moments, but Devine is still able to keep the elements of importance in the world around us (check “Another Bag of Bones” and “Tomorrow’s Just too Late” for lyrical evidence) and balance literal songs with narrative sensibilities (“Murphy’s Song”). For his first headlining run across the United States, Devine is the featured artist, merch person and tour manager. Despite being really busy, he has still managing to stay sane, or at least grounded, about his current situation. Though he’s been a staple in the indie scene for over a decade, Devine has been able to do larger tours in the last few years, which was partly propelled by his short stint on Capitol Records, the troubled label that released his fifth record, Put Your Ghost to Rest. Now on Favorite Gentlemen, a Sony-distributed imprint, Devine is back to being on an indie with a stable support system. At press time, with all the stylistically dynamic songs on Brother’s Blood, the pop-tinged tune, “I Could Be with Anyone” has been pegged as the de facto single. Following this interview, Devine debuted a music video for the song. “It wasn’t written to show anyone that I could write a pop song. I know if I wanted to write pop music, I could do it. There are some people who are brilliant at it and I’m not like that, but I know my way around a melody and a hook. For his future plans, much of Devine’s foreseeable future is already scheduled. He will go to the UK with Brand New and Manchester Orchestra and then come back stateside to do a short acoustic run. In any case, Brother’s Blood will no doubt be a milestone in Devine’s already illustrious and continuously growing career.